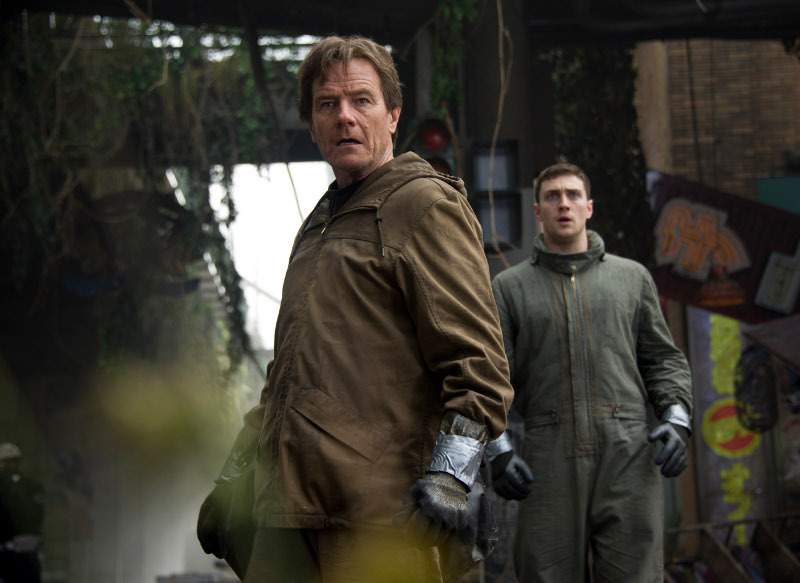 Second Godzilla Trailer Expands On The Wreckage - Are You Screening? We’ve had a taste of Godzilla for quite a while now, but we finally get an expanded look at things, including a lot more Bryan Cranston, and an interesting take on Godzilla’s screech… and throat. The new trailer gives us some action, shows off a lot more of the spectacle, and gives us quite a bit more of the giant lizard himself, but it leaves a lot up in the air. Here’s a movie that just has me scratching my head. It’s almost as though I picked the cast for some movie I really wanted to see, and then was forced to put them into a film by way of a random remake title generator. I mean, even if it’s as good as it could possibly be… really? Can’t we at least put some sort of crazy spin on the giant monster movie? Oh, wait, we did that last year. On the other hand, it does look kind of awesome. But, I’m a little nervous that they are going to find some way to make it rather boring. Cranston sort of seems like he’s working a Jaws angle on the whole story.